The iclicker kit comes with the base receiver, a USB cable, and an instructor remote. 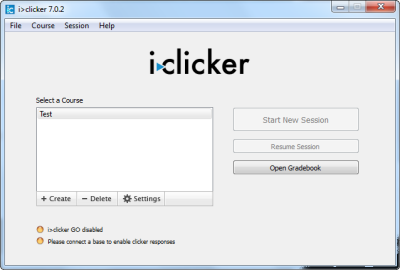 You will need to download the iClicker software onto your computer or a flash drive. Step 1:Go to http://www1.iclicker.com/downloads-release-notes/. 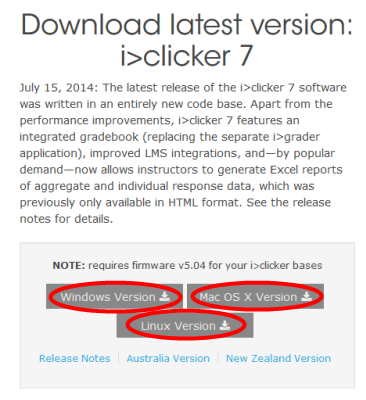 Select the type of download you need (Windows, Macintosh, or Linux). Step 2: Fill out the form with your information and click Download. A Thank You screen will appear. Step 3:A pop up will appear. Make sure the option is set to Save File. Click OK. 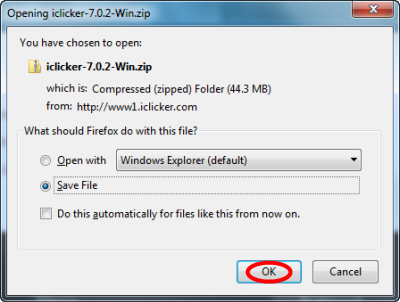 Step 4:Navigate to your Downloads folder and open the iclicker folder. 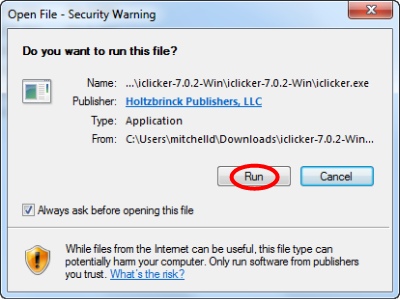 Step 5:Double-click the iclicker.exe file. Step 7:You may now access the iclicker program. 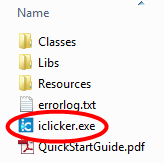 Step 8:Move the iclicker folder by clicking and holding on it and dragging it to your private network folder. 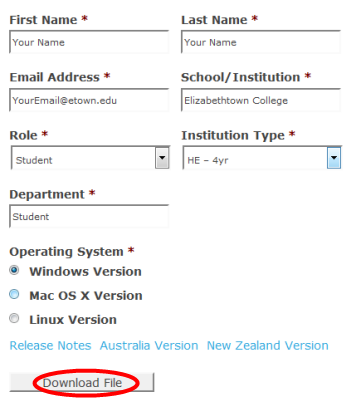 Never place this software folder in your public folder as it will contain student information.